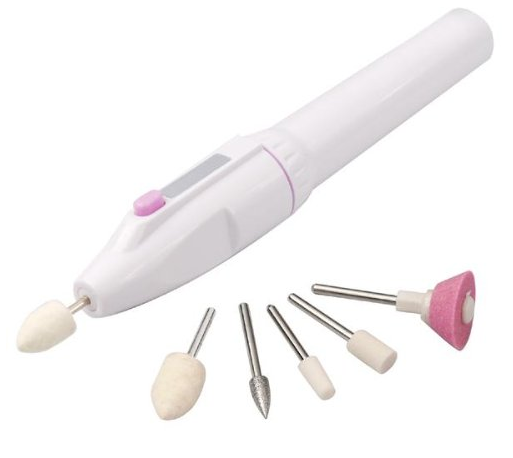 Electric Manicure Nail File Grinder Kit Only $3.87 PLUS FREE Shipping! You are here: Home / Great Deals / Amazon Deals / Electric Manicure Nail File Grinder Kit Only $3.87 PLUS FREE Shipping! Wouldn’t you love to have the same kit used in salons when you get manicures? This Electric Manicure Nail File Grinder Kit is Only $3.87 PLUS FREE Shipping! It is the same type of machine used to make nails beautiful when you go get manicures. Get yours NOW!